Publisher’s Note: Products purchased from 3rd Party sellers are not guaranteed by the Publisher for quality, authenticity, or access to any online entitlements included with the product. This clearly written, easy-to-use reference manual contains the evidence-based information that nursing students and practicing nurses need to diagnose and construct care plans that meet patients’ health care needs throughout the life span. Incorporating NANDA-I nursing diagnoses, this updated edition integrates the nursing process and is an ideal reference for any clinical, classroom, or simulation setting. Units are organized by life cycle and include adult health, adolescent health, child health, maternal-neonatal health, geriatric health, psychiatric and mental health, and community-based health and wellness. UPDATED! The 2015-2017 NANDA-I diagnosis and standards, the Nursing Interventions Classification (NIC), and Nursing Outcomes Classification (NOC) labels are incorporated throughout. Selected Nursing Diagnoses by Medical Diagnosis (Appendix I) offers clearly written, authoritative care plans for every stage in the life cycle. For easier navigation, the index now directs students to nursing diagnoses by page number. A focus on the importance of the nursing care plans ensures students have the unified language and follow the steps of care planning to further the profession of nursing. 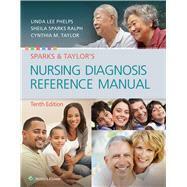 Integration of the nursing process throughout makes this an ideal resource for any clinical setting. Unit-opening Applying Evidence-Based Practice features provide evidence-based scenarios for each stage of the life cycle.